Mumbles is an absolutely charming coastal village located to the west of The City of Swansea. The beachside promenade meanders along the coast with parks, cafes and ice cream parlours situated en-route. The village itself offers a full array of quality restaurants, chic wine bars and individual boutiques. The area is popular with families due to the beautiful parks, award winning family friendly beaches and excellent school catchments. Mumbles was recently listed in The Sunday Times as one of the best places to live for families and is known locally as the gateway to the Gower Peninsula which was bestowed the first ever designated area of natural outstanding beauty, with beautiful award winning beaches, interesting coves to explore and breath-taking coastal walks to enjoy. Benefiting from acres of wooded valleys and picturesque parks to enjoy. We are so proud to have been awarded GOLD for the second year running 'Letting Agent of the Year 2016' – by the Sunday Times. With over 17 years in the industry, extensive knowledge of the business and the advantage of working several areas, in resale, new homes and rental departments Emma was delighted to take up her role as Branch Manager at our Mumbles branch in 2016. In her spare time loves socialising with friends and spending time with her family. Samantha brings 25 years of estate agency experience to the team as Office Manager and currently carries out all market appraisals within our Mumbles Branch. Sam is mum to three teenage boys and manages to juggle a busy work/home life while fitting in the occasional marathon in her spare time. Andrea has extensive industry knowledge of over 20 years in the business. She provides our clients with sound and crucial advice throughout the whole sale process, Andrea took up her role in 2016 and currently managers our sale progression with Mumbles Branch. Rebecca joined Dawson’s in March 2010 as a sales negotiator. She currently photographs and prepares sales particulars for our seller as well as managing all their property needs. Rebecca has two daughters who attend the local comprehensive and primary schools so is the go to person for important information such as school catchment areas. Kelly joins us from our vibrant Marina Office, having been with the company since early 2017. Previously she has worked in Media as a producer for ITV and as a Restaurant Manager. Having a keen interest in property Kelly embarked on a career in Estate agency. As Sales Negotiator in the branch, customer service is a priority to her which is evident when arranging viewings and giving feedback. In her spare time Kelly enjoys renovating vintage furniture. Karen is a new member of the Dawsons team, working on Saturdays to assist viewings. She really enjoys her new role, particularly accompanying clients around their potential new home. Karen loves property and its potential development, including renovation and interior design. In her spare time, she enjoys spending time with family and friends, walking with her dogs and reading. Danielle is the senior branch administrator and an integral part of the Mumbles team having worked for Dawsons since early 2012. She is mum to two children and her husband works for the Welsh Ambulance Service. Danielle enjoys the fact the she is the one English rose among an office of Welsh daffodils. Since graduating from the University of Brighton, James entered the banking industry and built his experience specialising in residential, buy to let and bespoke finance solutions. James is a level 3 qualified mortgage advisor and level 4 qualified financial planning manager. As a member of the London institute of banking and finance, James has also mentored new students toward qualification in mortgage advice. James currently covers our Mumbles, Sketty and Marina branches. James’ personal life is centred around raising his young family. James has 2 young boys aged 7 and 3, which keeps his spare time more than occupied! Kristian started his career in the property industry in 2012 where worked in Residential lettings. Having worked in a number of lettings branches Kristian has gained a wealth of experience in the industry. Kristian joined Dawsons in 2015 as Manager of our Morriston office overseeing all aspect of Residential Lettings. Kristian is also a trained pianist and continues to perform in his spare time. Educated locally, Welsh speaking Rhodri joined Dawsons in 2013 and is currently heading the team at the Mumbles Lettings office. During his spare time Rhodri enjoys motor sports, surfing and has a keen interest in music. Sammantha joined the Mumbles Letting branch in 2014 as a Letting Negotiator, with 5 years prior experience in the industry. Sam prides herself on providing excellent customer service, and is always going above and beyond for both tenants and landlords. You will often find Sam hosting a get together with friends on weekends. 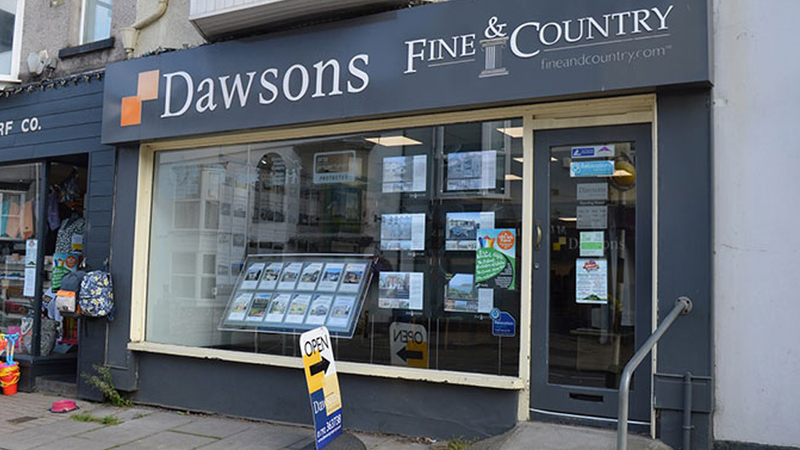 Gemma is one of our long standing members of staff having been employed with Dawsons for over 12 years, and based in Mumbles Lettings office for 10 years. Within the office Gemma often takes on the role of organising the social calendar for birthdays and events! Gemma loves the simple life, friends, family and Joes ice cream! Tara is the last remaining original member of Dawsons, having been with us since 1991. Her experience and contribution to the team in Mumbles Lettings is invaluable. Tara is known as the tough cookie of the office and enjoys many extreme sports during her spare time. Deborah joined our Mumbles lettings team in 2018 as a full time lettings negotiator. Deborah brings with her a wealth of experience in the industry of both sales and lettings but also has managed her own clothing business previously. Deborah also manages her own portfolio of property, this along with a great interest in property and interior design makes her a perfect fit. Outside of the office you will find Deborah walking her Airedale terrier ‘Jazz’ around the Marina and Swansea beachfront. She also has a keen interest in travelling, so is often found exploring new countries such as Rome, New York, Croatia and Cape Verdi in recent years. Gareth is one of the newest members of the Mumbles lettings team, and has fitted into the team with ease. Gareth has adapted to the industry and enjoys the daily tasks and challenges within his role as routine inspector. Gareth has a keen interest in rugby and photography, he enjoys spending his spare time with friends and family. Caitlin Joined our Mumbles team as a property inspector in February 2019 bringing with her many years’ experience within the trade already, having adapted to varied roles within her last position. Caitlin enjoys baking, looking after her pets and swimming in her spare time. Yasmin joined the Mumbles team in February 2019 as our Saturday viewing assistant. During her week Yasmin is completing her degree and working part time in a local bar creating cocktails. Yasmin also likes to see the world when she can. As a director of Fine & Country Swansea Chris Hope has had more than 20 years of estate agency experience. Chris works tirelessly with our Park Lane office and neighbouring Fine & Country offices to ensure the general direction of the business is heading the right way. Keeping a keen eye on new trends and technology within the industry. A family man who is a keen sportsman and a very proud supporter of our local Premiership football team. In his free time Chris likes to take advantage of our coastal location and enjoys boating and various water sports. Tom has immersed himself in the property industry for almost a decade, hence his vast knowledge of both sales and residential lettings. With Tom’s wealth of industry experience and extensive knowledge of the local area married with his hands on, personal customer approach he compliments the Fine & Country team perfectly. Tom is a big family man, who outside of office hours, loves the outdoors and is very passionate about angling. Nicola’s valued role within the company is liaising with our diverse client base matching the appropriate property to the ideal purchaser. Nicola accompanies the viewings, sharing her varied knowledge of the local area and often returning from a viewing having made a new friend. Keeping in close contact with the vendors and updating them regularly on the feedback gained during the viewings and advising them of any positive steps that can be made to enhance their property and encourage a sale. Nicola was born in Mumbles and has also been working in the property industry for many years. Her hobbies include reading, travel and socialising. Beth joined the company in 2016 after previously working within the International Marketing Team for Dyson. She now over sees our Fine & Country marketing and PR activity, which entails liaising with local and national tabloids and online platforms providing extensive coverage for our wonderful properties. Beth particularly enjoys liaising with our clients and strives to ensure a positive overall experience of what can sometimes be a daunting/emotional time.